•	The first question you need to ask yourself is whether you need this storage for a longer or short term duration. You don;’t have to pay for a huge storage space if you can downsize your belongings to a more manageable size. Dispose, sell or donate what you don’t need anymore and you will save quite a good bit of money in the process. •	The next thing you will need to consider, now that you managed to remove the unnecessary belongings from your home is how much space you will need. If you get a unit that is too small you will have a lot of things potentially crammed or even damaged. A larger unit would end up wasting space, so you will need to calculate the volume of what you plan on storing there. •	The other question that begs asking is whether you are moving or you need the extra space just for storage. This will play a major role in what lies ahead. A common thing when moving is to use that extra space to house some of the items that can’t be moved right away, especially if you have to leave the house or apartment right away. In such cases you will need different types of storage than you would if you were simply in need of space. You will either need to look for some storage space conveniently located near your current home or a mobile storage solution. •	Storing things at a portable storage unit gives you a chance to take it with you to your new destination with little trouble, but it also means you will need to pay a bit more in most cases. On the bright side this type of storage unit is very useful, as it allows you to take control of the moving process at your leisure without stressing out about deadlines and time as an issue. Check both options and consider what works for you in your current situation. •	You should also consider whether you want to have packing done by the company you’re hiring storage from or done by yourself. Do you have the time to get things done right by yourself? Sometimes packing things by yourself may be a bit risky, depending on the items you need to deal with. If you leave things in professional hands, you will have a lot less issues to deal with in the long run. Many of the packing and moving companies will insure belongings packed by them, but if you do the packing yourself you may end up with your own mistakes. Moving is one of life’s most stressful events. Even if you’re excited to move to a new and perhaps better place, the physical act of moving your life is a dreaded event. Packing, lifting, carrying, hiring a truck, canceling all of your utility, Internet, and cable services, cleaning, redirecting mail, and a practically endless list of other tasks (not to mention the cost of it all) are a real headache. Put together a friendly, humorous email invitation that will get everyone’s attention and perhaps even change their perspective on the whole thing. Email invitations are generally used for parties, but you could turn moving day into one big party by having a little fun with it. Usually beer and pizza are great enticements, just make sure no one overindulges before the work is done. Evite.com tends to be a bit drab for invitations, but Punchbowl.com is customizable and enables users to create a really offbeat invitation. One of the riskiest parts of moving your belongings is lifting heavy furniture. To help keep everyone and everything safe, consider purchasing the “As Seen on TV” product, EZ Moves Furniture Moving Sliders. This product allows you to move even the heaviest furniture much easier. For only about $20, you can lift furniture using up to 10 times your natural strength, according to BedBathandBeyond.com. Moving List, a handy app available for iPhone and iPad, can walk you through all the steps related to moving. It includes lots of helpful lists, such as packing, job relocation, and more, to get you organized and planning all stages of your move. One of the biggest hassles of moving is making sure everyone you deal with has your new address, including credit card companies, the IRS, banks, and so on. The United States Post Office makes things a bit easier by allowing you to change your mailing address online, just by going to https://moversguide.usps.com. While you’ll still need to reach out to individual companies, MovingChecklist.com is also an excellent resource that will ensure you don’t leave anyone out. Your mail is a common way identity thieves can steal your personal and financial information. Putting in a change of address is just one of the ways to help prevent this risk. One Washington State man was found with 1,000 pounds of stolen mail in 2013. He had used stolen checks, credit cards, and gift cards from the mail, stealing thousands of dollars from victims throughout the region. It’s a good idea to invest in an identity theft protection service such as Lifelock in order to protect yourself in case any mail gets left behind after you move. Don’t disappoint your helpers by forgetting to make moving day fun. Consider making a game out of the tasks of moving. Compete with each other to see who can carry the most to the truck safely, organize boxes the neatest, or clean the quickest. Creating a playlist of upbeat songs can also help make things more fun. You could even dance while you pack. As this could be your last chance for a while to spend time with those who are helping out, keep it lighthearted and festive. Many people believe that they have no need to use a self-storage facility, that it is a place where people put items and forget about them. There are a lot more people who could make use of these services but are unaware of it. Are you finding yourself short on space at home? Can’t find a place in your home for that particular piece of furniture that you can’t quite bare to part with? You don’t have to make the hard decision to throw away items to conserve space; self-storage is a simple, safe and convenient option which will take no more time than driving to a recycling station, but without the heavy heart. Here we have some top tips about how you can maximise your space at home, whilst ensuring that you have peace of mind that your possessions are secure and available should you ever need them. Everyone enjoys sitting out on a hot summer’s day in their garden, whether it’s just on your own watching the world go by or enjoying time with friends or family we all can appreciate the benefits that having a good set of garden furniture can bring. However when the weather begins to turn and it becomes too cold and damp to enjoy them anymore you are faced with the prospect of having to try and find some space in a garage for them until next year or risk them being damaged by the elements. So when the first signs of autumn begin to show why not move them into storage? That will ensure that you can make the most of your garden tables and chairs on the next sunny day whilst knowing that they are being help in a safe, damp-free environment. Workmen’s tools are often expensive items and frequently attract thieves. Whether you keep your tools in a car, van or garage, whether you rely on them for your livelihood or just for some general D.I.Y at home self-storage can offer a quick and convenient answer to your security worries. 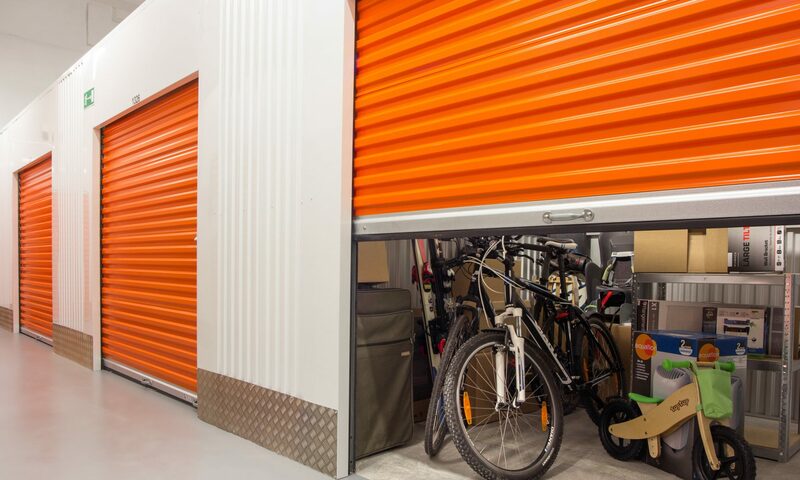 Self-storage facilities have employees controlling access to the building and you will be the only key holder to your unit and are protected by CCTV and alarm systems. Putting your tools into self-storage and picking them up when required can help to ensure that costly pieces of equipment are held in a place you can really rely on giving you great piece of mind. More and more people are starting small businesses in their free time. With the advent of the internet it has never been easier to pursue your dreams of starting up your very own venture. The issue with having a business on the internet instead of in a more conventional form is that there is not the same amount of space available. Rather than cluttering up your house with your stock you can free up that spare room by moving them into self-storage. You can access your merchandise freely and maybe turn what once was the stockroom in your home into an office from which you can become a business tycoon. Not planning a holiday for a while but your driveway is taken up by your caravan or motor home? Is space in your garage being taken up by that vintage motorbike that you’re sure that you’ll get working eventually? Vehicles take up a lot of space and unless you‘re using them for day-to-day travel they can become an inconvenience to you, many companies offer vehicle storage for your convenience. The world is changing and interstate moving is more and more common. It is easier to connect with employers across the country to find employment, making our country smaller. Businesses are able to benefit by interstate moving in order to maximize profits. Hiring professional removalists is crucial in our changing world. Moving is more complex and people have more stuff. So what does the future hold? Here are some thoughts for the future of interstate moving. Professional movers do a lot more to take care of a move than they used to. This is only set to increase. Long gone are the days of simply loading, unloading and driving a truck. Now families and businesses can expect a team of trained removalists. They are able to handle storage, packing, and delivery with less stress. When making a moving plan with a company, you are able to give a list of what you need moved. This could be office furniture, household items, and even cars. Companies will provide packing, pack for you, and take care of your vehicles. They can give paperwork and info for changing insurance and other things. Companies can tell you about interstate quarantine for plants and animals. They will move pets for you. These services are expected to increase in the future. Interstate moving will get easier as the professionals take on more. This is due to better technology, and also the growth of the industry itself. Communication has changed the world over. Better technology means easier moving. In the first contact stages with a company, they can give you a better quote. Companies will send an agent to your home to do a survey. This is more accurate. Removalists have up to date info on gas prices, highway levies, and other costs. After seeing what you have and adding distance, they can make better estimates. It is easier to use email and moving calculators to tailor the price. It is common to have a dialogue with a company before choosing a package. This gives people more choice when choosing what to take. During a move, tracking is easier. Companies can give up to date info on the status of your stuff. Delivery notices are timely and make less hassle. Communications are only going to get better with time. Cell phone apps put all areas of the move into one. Google allows by the minute tracking of individuals and trucks. Many companies have gotten bigger and now have stores in all areas. It is easier to meet in person on both sides of the move. Communications will make things even easier in the future of interstate moving. In the old days, getting ready for interstate moving took months. The process was slow and drawn out. Companies needed more time to prepare for your move. There were fewer companies to choose from and less resources to use. Now, moving is faster than ever. Many companies can help you on short notice. Technology allows fast planning of all aspects of the move. Tracking is easier for transport and delivery. Highways are better. Traveling long-distance is easier. These aspects are set to increase in the future. The resources for companies to use are expanding. Jobs can be done faster and easier. Interstate moving is costly. Packaging, fuel, storage, and manpower all cost money. It has gotten much cheaper over the years with things like portable storage containers and better trucking systems. The internet has changed things for moving companies, and urbanization has improved interstate travel. But is it possible for prices to drop in the future? The answer is not likely. The cost of petrol for land and air travel makes transport more expensive. This is likely to off-set any savings in ease or filing fees. There are more pricy items to buy with changes in technology. Packaging for furniture removals comes in more variety. Consumers are more likely to pay for the best they can get to protect their stuff. This also goes for services. Companies take on more burdens in a move. It is likely most customers will take advantage of service options to make moving easier. Technology is important in interstate moving. We can store goods in portable containers on site. Containers are lighter than before. They are more common in furniture removals. Their use is likely to increase. Packaging is more advanced meaning less chance of damage. These factors along with better communication are set to make moving a lot easier in the future. Mark Long owns and operates a Brisbane furniture removals company. He has done furniture removals for 25 years. He now lives in the West End with his family. Proper transportation is very important for the success of most companies. Most companies need to buy raw materials. They will want these raw materials to be transported to the manufacturing plant. They will then want the finished product to be transported to the warehouse. Finally, they will want the products to be transported to the various retailers. There are a number of transportation levels as well as warehousing levels. This can be very costly for the business. The increased commutation and storage costs will be transferred to the end consumer. It will also affect the profits that the company makes. Therefore, the company will need to hire a qualified logistics team to handle this. They will need a logistics park for more organized storage and warehousing. There is a huge difference between traditional warehouses and modern logistics parks. Modern warehouses have a higher capacity. Traditional warehouses were very small. This compelled businesses to store their goods in several warehouses. However, modern logistics parks have more storage space. They also have larger containerization units. This significantly reduces the freight quote that the company will be given for transportation and storage. Traditional warehouses did not have the technology to effectively manage storage and transportation. Luckily, modern logistics parks have the technological solutions to solve all the storage and transportation problems. They have technological security systems and arrangements. They have better labelling for packing of goods. They have a better mechanism for tracking goods. They therefore help the freight company to manage time and to minimize losses with the help of practical and cost effective solutions. Traditional storage units were built for storage and not protection. They were often left in very poor condition. They had moss and pests that could easily damage the goods. They also did not have mechanisms that could protect the goods in cases of rough weather. However, modern logistics parks are state of the art facilities. They are very clean and well maintained. They ensure that the goods are stored safely, and that they leave the warehouse in the best condition possible. Previously, people would store goods in warehouses and take care of everything else by themselves. This included clearing customs and managing other liabilities. The goods could stay in the warehouse for days. This would be an extra cost for the owner. However, logistics parks have an extra value added service for their customers. They can help their clients with such processes. This will make it easier for the customer to get their goods out of the storage unit so that they can transport them to where they are needed. Logistics parks are constantly evolving. They are trying hard to ensure that their clients get better value for their money. This is by providing efficient and cost effective services to their customers. They are especially perfect for large scale transportation management. This is especially the case with a freight company that transports goods over very long distances. With their help, these companies will get practical and cost effective solutions to their storage problems. Mark Long is a logistics consultant who works with a big freight company. He has been in the industry for a long time, and he has seen how modern logistics parks have evolved. They have reduced transportation costs, and therefore companies that use them will get a lower freight quote from their transportation company. The first thing you will need to remember is to do your packing in such a way as to be able to find what you need later down the line. If you can find things quickly and without digging through a mountain of stored belongings, then you have done your job right. You should make an intentory list of the items you’ve packed and where they are as you’re setting them up in storage. You can also come up with a system that uses numbers to denote certain boxes or even parts of the storage. Depending on the nature of what you’re storing you may even use a floor plan. You should do your best to work with good quality, strong and sturdy cardboard boxes and packing materials. As time goes by and boxes are used, their strength declines after each use. If you buy similar-sized boxes you will have a lot less trouble stacking them inside the unit. Make sure you have a box for everything, as whatever is left outside will easily get dirty and dusty if you leave it that way. Having things boxed will also allow for an easier stacking and dealing with inventory, rather than going through things in a haphazard fashion. Fill your boxes to capacity, but avoid going too far as they may be too heavy to lift or they may break if you’re not careful. Use different materials for padding, such as packing peanuts and bubble wrap or towels or paper if you don’t have the former two available. You will need to make sure boxes are as sturdy and level as possible, so they can be stacked on top of each other without any issues. Partially filled boxes may collapse under the weight of what’s on top of them, thus bringing down whole rows of boxes. Label all your boxes clearly so you can figure out what’s where everything is once you’re in the storage unit. You should label them on more than one side so you can check what you have quickly from any side. Clearly mark any fragile items so you won’t hurt them by accident. You should avoid filling large boxes to the brim with heavier items such as books. This will make them impossible to carry or move and they will definitely break. You can work with smaller boxes from the facility to get the job done in a much more efficient manner. If you really have to use heavier items in larger boxes, you should stick to putting only one or two, then filling the rest with lighter items so you can move them around. Holidays not only represent a break from the toil of your working life, but a sense of achievement; you’ve earned your time off, and the time is now for you to do whatever you want! However, before you rush off and start having fun with your friends and family, it’s important to bear in mind that the things you love most in life could be at risk whilst you’re away, if you don’t take necessary precautions. Whilst it isn’t nice to contemplate, burglary is rife in every major urban and suburban centre. An unfortunate reality of the recent recession is that crimes such as burglary have skyrocketed – and you don’t want to return from your sunny sojourn to find your home has been ransacked and the things you treasure most in life have been pilfered. You should may be consider self-storage solutions as a way of keeping your possessions safe when you’re away. Even if you’re only going to be gone for a few days, it’s imperative you keep your belongings safe. Some may eschew self-storage rental because they believe it’ll cost them an arm and a leg, and they’re sure it’ll be alright on the night. However, this mindset simply won’t do. For a start, self-storage hire can be highly reasonable. The best storage facility rental services specifically cater to the short-term needs of holidayers. Ask yourself whether it’s worth saving a few quid on storage space hire services when the emotional and financial cost of having your most prized possessions in life purloined will be ever so much higher! Use an online search engine to find a storage facility hire company near you, and once you’ve found one that can cater to your needs, sign up! Then, it’s time to start packing up your possessions before your departure date! When it comes to packing away that which you treasure most, it is recommended you use sturdy storage boxes to transport your possessions from A to B, and store them at their destination. The best removal companies sell these boxes, but you can also buy storage boxes online. You may find you also need packing materials – such as bubble wrap, dust sheets and magic markers. You will definitely need bubble wrap if you are packing away fragile and/or delicate items. You can also buy packing materials online, if necessary! It is strongly recommended you don’t use any old cardboard box (sourced from, say, your local supermarket). These boxes may break en route to your rental storage facility! Small investments made before you move can save you a lot of money during the moving process. Don’t run the risk of damaging your possessions when you use holiday storage services; they’re meant to make your life easier, keep your possessions safe and save you money – not the opposite! You may want to consider buying plastic storage boxes, but the best cardboard storage boxes will, 9 times out of 10, do the same job for a fraction of the price. Furthermore, when packing your possessions for storage in your rented storage space, don’t overfill boxes. Simply fill them to capacity, and no further – if a box is bulging, you’ve overstuffed it! Overpacked boxes can be susceptible to breaking mid-carry, which could be a nightmare (and a costly one!). You may also find packing heavier items into smaller boxes makes them easier to lift. Hopefully this guide has been of some use to you. Follow our advice, and you can be guaranteed a stress-free and supremely relaxing break. Have fun!